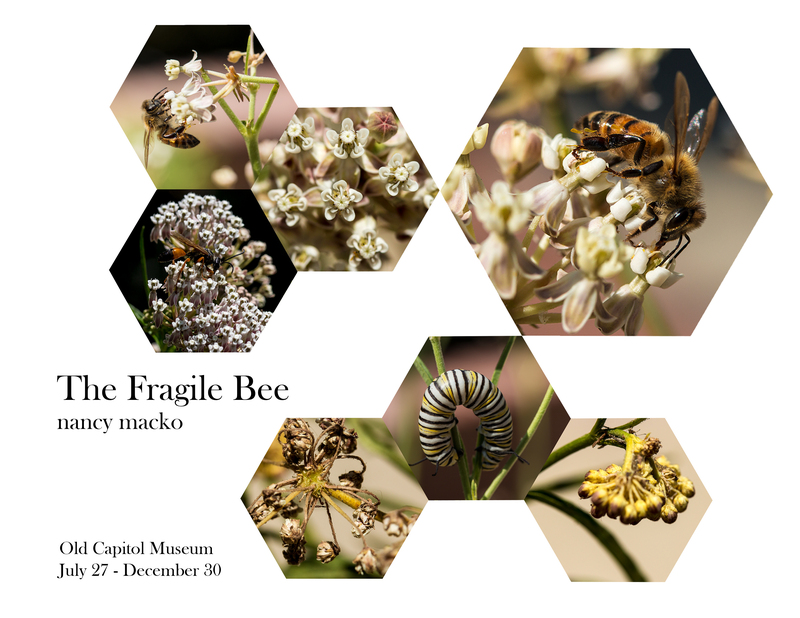 The UI Pentacrest Museums are buzzing with excitement to introduce our latest exhibit, The Fragile Bee. Artist Nancy Macko uses macro photography to create an exhibition featuring photographs, prints, and a mixed-media installation. The pieces teach the public about the plight of bees and raise awareness about humanity’s interdependent relationship with them.